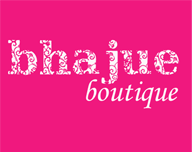 Bhajue Boutique: C Ya @ Jeumpa D'Ramo! The next upcoming bazaar will be "Poolside + Fashion Craft 2" by Bijou Bazaar @ Jeumpa D'Ramo (again!) back by popular demand. This second series of Bijou Bazaar @ Jeumpa D'Ramo will take place on 31st May til 1st June 2008.So people, bookmark it in your calendar!